It was at a reading conference that I heard someone said, “Everyone needs a series occasionally.” And this week was one of those times when I needed a series. The relaxation of picking up a book where one is already familiar with the characters was just what was needed for a bone weary soul. 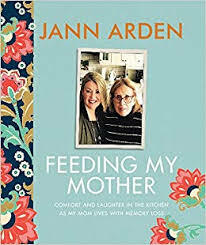 In the same way that comfort food is not necessarily as nutritious or healthy as what our steady diet should be, nevertheless, there is a place and time for it. Bring on the chocolate and the series! Rest for the weary and pleasure for the soul! Set in Edinburgh Scotland, ‘The Forgotten Affairs of Youth’ is number 8 in the Isobel Dalhousie series. If you are unfamiliar with the series, begin with the first ‘The Sunday Philosophy Club’. The author is a Professor of Medical Law and no slouch. Though the reading seems light and easy in this series, there are weighty philosophical matters dealt with and moral and ethical issues galore. Isobel Dalhousie is a nosy Scottish philosophy editor who dabbles in sleuthing and other people’s lives. Her love life is a nice side plot and in this instalment, for those who are familiar with the series, something significant happens in that regard. I wonder if there will be another in this series, it felt like the final chapter to me. Alexander McCall Smith’s books are a breath of fresh air no matter which of his series you delve into. There is charm and warmth. But also permission to enjoy human nature at its most recognizable and imperfect. Because that is what life is like. Why not relax into a series, it’s ok. It’s good for you. Check out the author’s website, it’s worth a visit. He has several to choose from. 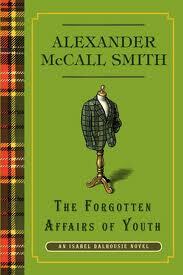 This entry was posted in Fiction and tagged Alexander McCall Smith, Forgotten Affairs of Youth, Scotland, series. Bookmark the permalink. My friend loaned me a couple of #1 Ladies Detective Agency books. I read them all. I am totally crazy about his books. I have read all the other series, Isabel’s, 44 Scotland Street, Corduroy Mansion and love everyone.